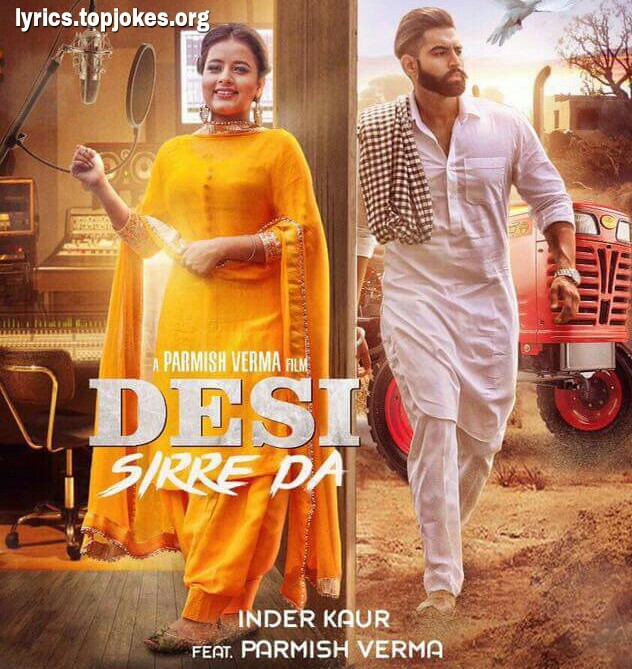 Desi Sirre De Lyrics - A single punjabi song in the voice of Inder Kaur feat. 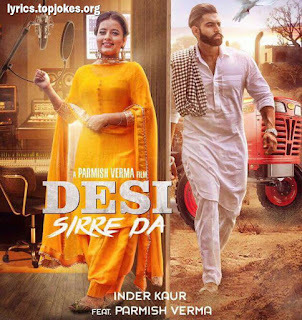 Parmish Verma which is composed by Desi Crew while lyrics are penned by Narinder Batth. 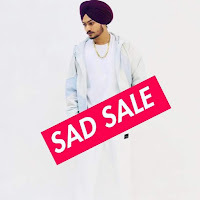 Ni mere aala desi sire da..